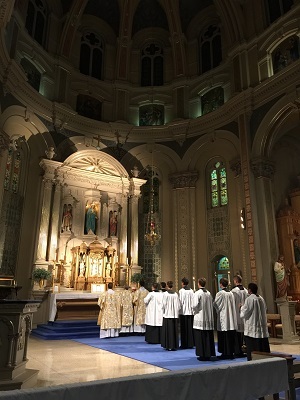 Following upon the success of the first Tridentine Mass held at Old St. Mary Church in Greektown last October, the parish will be holding another Holy Mass in the Extraordinary Form on Friday, February 26 at 7:00 PM. The celebrant will be Fr. Stephen Pullis, Priest Secretary to Archbishop Vigneron. Wassim Sarweh and the choir of Windsor’s St. Benedict Tridentine Community will once again provide the music. Stations of the Cross will be prayed at 6:15 PM. 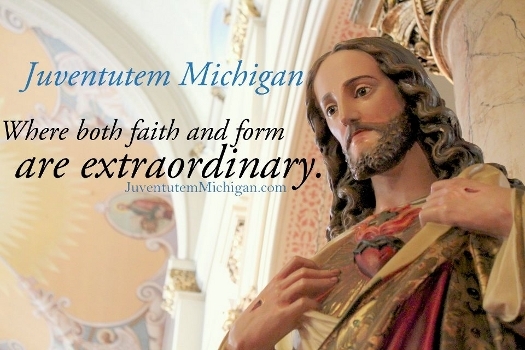 Juventútem Michigan will hold a dinner for young adults age 18-35 after the Mass in the Parish Hall. already. Please consider attending this Mass to demonstrate to the parish that there is interest in continuing to hold Tridentine Masses in this beautiful historic church. already. Spiritual Suggestions for Lent already. Much press is given to the meritorious practice of giving something up for Lent. We can all do without our favorite sweets or a certain enjoyable activity during this holy season. It’s also worthwhile to consider going an extra mile during Lent by making a special effort to participate in some additional spiritual activities. Here are a few suggestions: already. Weekday Mass: Try to attend one of the local weekday Masses in the Extraordinary Form once per week during Lent. Mass is offered at 7:00 PM on Mondays at St. Josaphat in Detroit, at 7:00 PM on Tuesdays at Holy Name of Mary in Windsor, and Monday-Friday at 7:30 AM and 7:00 PM [7:45 PM on Fridays] at Assumption Grotto. If you can’t make it to a Tridentine Mass, consider attending Holy Mass in the Ordinary Form at a parish which offers it in a traditional manner, such as the daily 12:15 PM Mass at Old St. Mary. already. 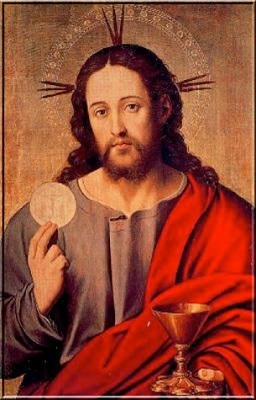 My Jesus, I believe that Thou art present in the Blessed Sacrament. I love Thee above all things, and I desire Thee in my soul. 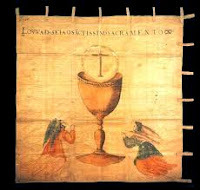 Since I cannot now receive Thee sacramentally, come at least spiritually into my heart. As though Thou wert already there, I embrace Thee and unite myself wholly to Thee; permit not that I should ever be separated from Thee. Amen. Daily Rosary: Strive to pray the Holy Rosary every day during Lent, for an intention of your choosing. If you are able to pray the Rosary in a church, publically or privately, you may gain a Plenary Indulgence for yourself or for the Souls in Purgatory, under the usual conditions of Confession within 20 days, reception of Holy Communion once per Plenary Indulgence sought, prayer for the Holy Father’s intentions, and freedom from attachment to sin. already. Confession: Try to begin the habit of going to Confession at least once per month, if you don’t already. Adoration: At least once per week, make a visit to the Blessed Sacrament. Many churches offer extended hours for this purpose, including the Stone Chapel at St. Hugo of the Hills in Bloomfield Hills, the 24/7 Adoration Chapel at the Shrine of the Little Flower Basilica in Royal Oak, and the Rosary Chapel at Assumption Church in Windsor. If you are able to spend 30 minutes in adoration, you may gain a Plenary Indulgence under the above conditions. already. Stations of the Cross: Pray the Stations at least once during Lent. If done in a church, you may gain a Plenary Indulgence under the above conditions. If you are making the devotion privately, you must physically move from station to station. already. Indulgence for each Communion: Strive to gain a Plenary Indulgence for the Souls in Purgatory for each Holy Communion you receive. This is a great act of charity for souls who cannot help themselves. Praying the Rosary in a church or spending 30 minutes in adoration are two of the easiest ways to attain this goal. already. On Saints’ Feast Days, Pray the Collect [Opening Prayer] from the Mass: If you have a hand missal for the Extraordinary or Ordinary Forms, on Feast Days of Saints, take a minute and pray the Collect for the day’s Mass. This practice is enriched with a Partial Indulgence. already. Resolve to make the nine First Fridays or the five First Saturdays: Realistically this means attending Mass in the Ordinary Form, but there are good sites to accomplish this goal, again for example Old St. Mary’s, which offers Confessions before every Mass and devotions after First Saturday Mass. already.